Nea Berglund grew up among the vines at the Cadillac Côtes de Bordeaux property her father purchased in 1990. 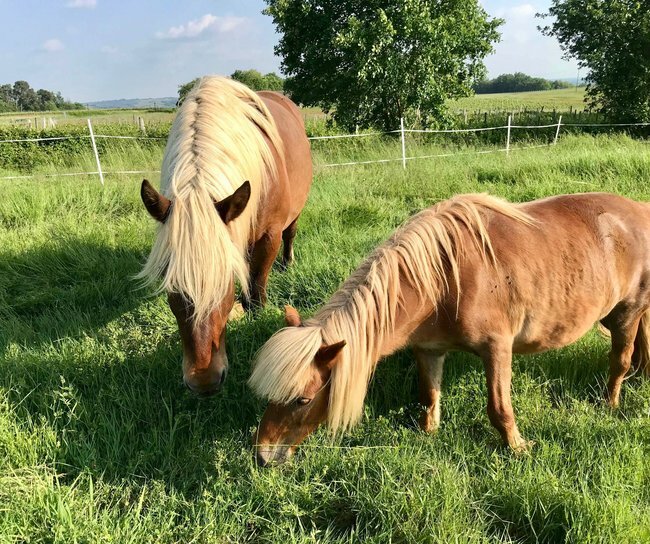 He is a food, wine, and music aficionado from Finland and his sisters would say he tricked them into buying this “French summer cottage” called Château Carsin. His daughter Nea would say he gave her an opportunity for the future. And the future is Charivari Wines. This is where the French #winophiles are virtually going in June. We join up for a Twitter chat on Saturday the 19th at 11 a.m. ET and 5 p.m. in Bordeaux using the hashtag #winophiles. I recently spent an afternoon with Nea in Cadillac to discuss her wines and newest project, Charivari Wines. Nea’s father, Juha Berglund, built a successful business in the Cadillac hills and charming town of Rions. The only Finish-owed and operated French winery in Bordeaux, Nea was by his side, whether playing in the vineyards, picking grapes or making wine. Nea is one strong-willed gal who wanted to be part of the action. She joined the Carsin harvest crew in 2005 at age15. Over the years there were challenges working with her dad that she attributes to being a tough teenager. Australian Mandy Jones was the first winemaker the Berglund family worked with (1991 – 2002). Juha was interested in modern winemaking techniques, which Jones brought to Carsin. A go-getter (apparently most of the guys were afraid of her) but Nea saw opportunity to learn. In 2015 she traveled to Jones’ Rutherglen winery in Victoria, Australia to work the harvest and gain valuable experience. The two built a student-teacher relationship based on trust and honesty, all the while becoming close friends. A key aspect of this working relationship was Nea’s developing ability to taste the juice and wine, and to make subsequent decisions about vinification. That same year Nea also worked a short while in Martinborough, New Zealand where the harvest is a few weeks later. Upon returning to Bordeaux, Nea dug right in. 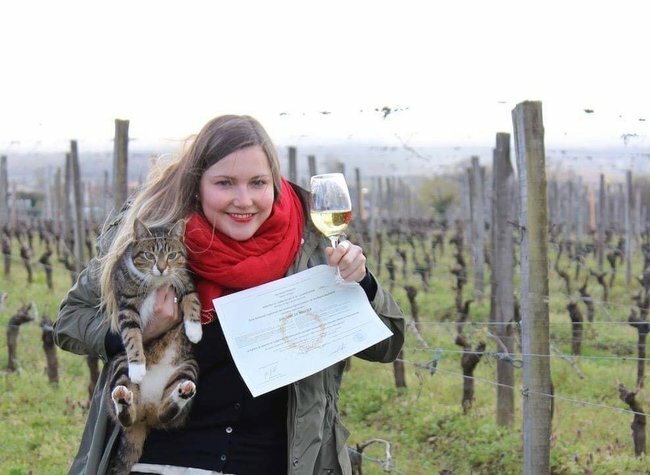 She’s made the wine at Chateau Carsin for a few years now and recently completed a Masters of Science and Technology in Vineyard and Winery Management at Bordeaux Sciences Agro. As a winemaker, Nea feels she faces difficulties, not because she is female but because people don’t take her seriously on account of her youth; she is 27. It’s one thing to be female in Bordeaux wine but it’s another to be young. She also doesn’t care to be classified by her gender but prefers people like her wines, and that they win awards (if worthy) because they are good, not because she is a woman. Today Château Carsin makes five red, a rosé, three white, and one sweet wine. Viticultural activity is more traditional with a focus on terroir. 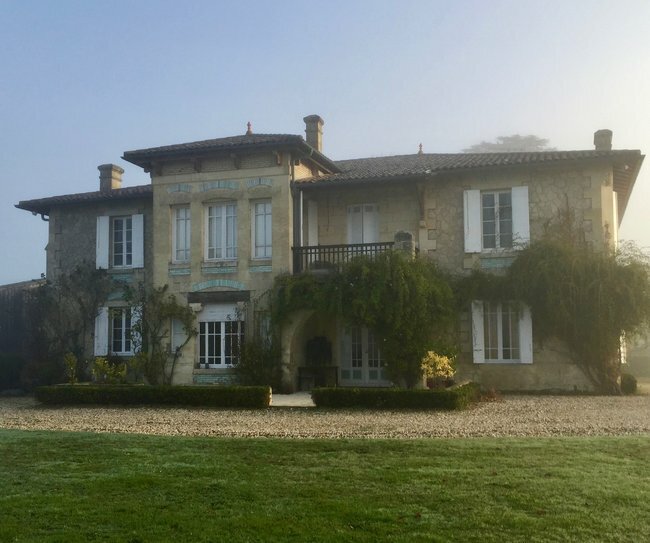 The Château is under conversion for 100% organic vineyards in 2019. They’re also moving from mechanical to horse powered plowing. 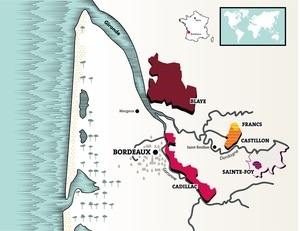 Cadillac Côtes de Bordeaux is a red wine appellation (AOP). There is also the Cadillac AOP but it’s for sweet wines only. Primary grapes are Merlot, Cabernet Sauvignon and Cabernet Franc with permitted additions of Malbec, Petit Verdot and Carmenère. The Berglunds grow all these varieties, as well as Sauvignon Blanc, Semillon and Sauvignon Gris. L’Etiquette Grise is 100% Sauvignon Gris, a wine not often found in Bordeaux- most wines are blends and Sauvignon Gris isn’t as common. It’s a beautiful, bright wine with exotic fruit aromatics. Their white, rosé and sweet wines are labeled as Bordeaux because again Cadillac Côtes de Bordeaux AOP is only for red wine. Mark and I tasted all Château Carsin wines except the recent label addition, Charivari which we’re very excited about (more below). Tasting notes on a few of the wines follow. Wines are between €10 and €20, amazing affordability and quality! This blend contains all six red varieties where incorporating Malbec and Carmenère add spiciness and personality. Grapes are vinified then matured separately for 12 months in 2-4 year old French oak before a blend is determined. Ripe red fruits, a rich mouth feel and a soft lingering finish are enticing especially with anything duck, l’entrecòte (steak), or a vegetable stew topped with Parmigianno-Reggiano. 100% organic Merlot is fermented and matured in stainless vats with barely a tough of oak. This allows the red fruits to shine showing off Merlot’s personality with minimal intervention. It has a bright and lasting personality on the palate. This wine is only made in exceptional years. A blend of old vine Merlot and Cabernet Franc, grapes are fermented in stainless vats then matured in 30% new French oak barrels for 12 months. Red and black fruit, violet, hints of tobacco and spice aromatics prevail. Beautifully balanced medium acidity and rustic yet silky tannins, this gently flirtatious wine can age for several years. A recent addition to the Château Carsin line up is Nea’s new project called Charivari. This is her platform for experimenting with traditional Bordeaux grapes made into wine using a natural style: no filtration, fining, or added yeast, just a pinch of sulfur dioxide before bottling to protect the wine from undesirable bacteria. The red, L’Aventure Nocturne is 100% Merlot. Grapes are naturally fermented in small open-top stainless vats. Punch down (pigage) is done by hand during alcoholic fermentation. Malolactic fermentation takes place in barrels with racking every 4 months. Le Fruit Défendu means the forbidden fruit, an appropriate name for this surprise blend of white grapes from Bordeaux. After pressing the juice sits at a cool temperature for about 24 hours. Both the alcoholic and malolactic fermentations take place in older French oak barrels, where the wine matures for approximately 12 months before bottling. It’s everything but traditional according to Nea. 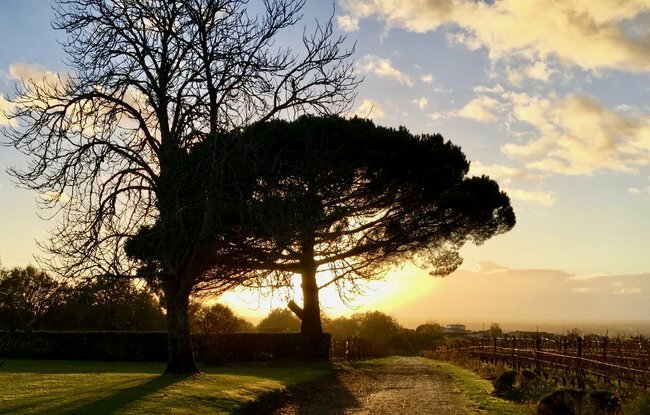 The skies in Cadillac Côtes de Bordeaux are beautiful, especially at Château Carsin which sits higher up on a hill. 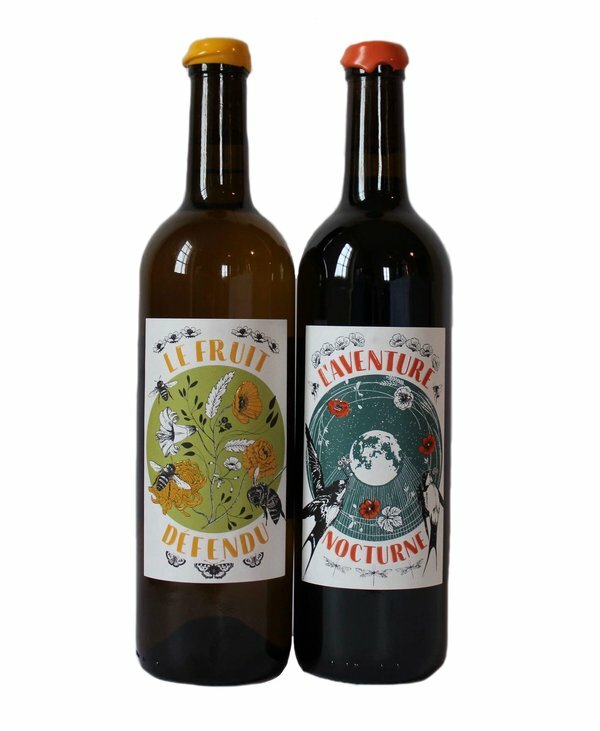 L’Aventure Nocturne and Le Fruit Défendu are both are sold out! 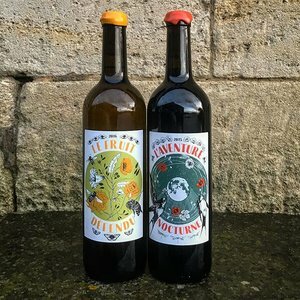 She’s releasing an Orange wine (white wine fermented on the skin) called L’Amour Fragile this fall. We do have dibs on a few bottles of this wine! While Nea treasures and appreciates traditional wines and methods, Charivari is modern meets traditional; it’s Nea shaking things up, her loud celebration of opportunity. Cannot wait to be able to get my hands on these. Maybe one of these days… Thanks for posting, Lynn. I hope you do too Cam, a real treat- very nice wines at great prices! Thanks for sharing this information…she does look like a baby but it just makes me happy knowing that it means she has many years to provide us with these wonderful wines. 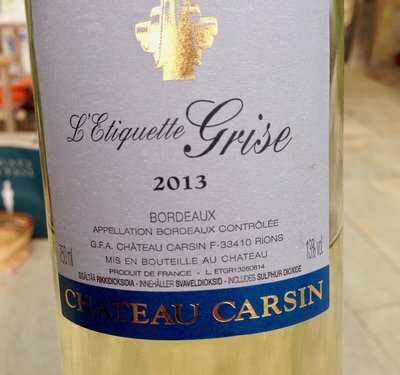 What a nice in-depth discussion of the family and Chateau Carsin. Thanks for sharing, Lynn! And thanks for stopping by Jeff! Thank you for the introduction to Nea and Chateau Carsin. She’s a fascinating young lady. I’ve really enjoyed learning about her and the winery. The wines sound very interesting. Hope you get to the Côtes and are able to visit Château Carsin one day Michelle! Through this month of Cotes de Bordeaux, Ive learned there are many young female winemakers. Makes me so happy. Thanks for sharing this story. I will have to look for these wines. It is amazing to learn (and fabulous) how many young female winemakers are in Bordeaux. Perhaps a future topic. These wines sound lovely and I love the story. I don’t know if her new line is available in the US, but so interested to try them! She has three of the cutest kitties! I took several pictures, they follow you around the property. Come visit, I’ll take you! What a great personal story you shared – I love it! Makes me want to buy a plane ticket to Frace right now! Cheers, Lynn. That does it! 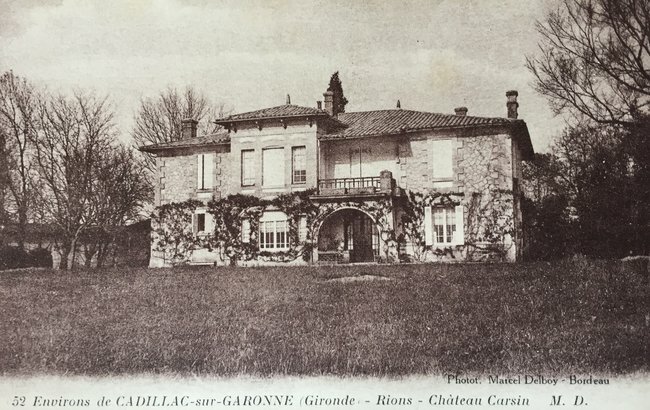 I need to meet Nea and visit Château Carsin. What a cool creative. Thanks for the introduction Lynn — I love your perspective! Oh I hope the next time you come to Bordeaux you let me know. Would love to set up a visit for you Jill! What a great story Lynn! The virtual Cotes de Bordeaux has me looking forward to our planned visit in September. Of course we had the other “Bordeaux” in mind, but know I feel we must visit Cotes de Bordeaux. We’ll be staying near St Emillion. I believe Francs and Castillon are the closest to there. Any recommendations? There is so much more to “Bordeaux” than all the big guys and gals- there are well over 7K wineries in the whole of Bordeaux! Let me get back to you regarding Francs and Castillon recommendations. Nice family story. I am too surprised that at the age of 27 Nea is working as a winemaker. It’s amazing. One day, I will definitely want to try your wine.